"Last time I did something like this I was balancing a deer and the chef was trying to mount it," chuckles Charles Woodward, as I posed him for a photo. 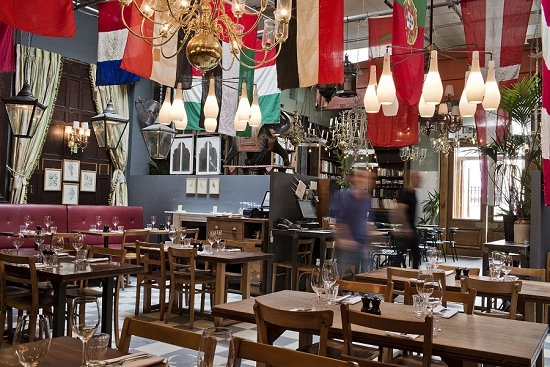 The restaurant where he now cooks, Brunswick House, is truly remarkable on a variety of levels. 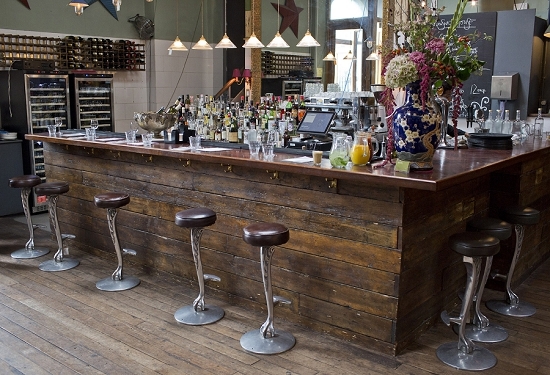 For a start, it's the epic location: the closest restaurant to New Covent Garden Market and set in a grand Georgian manor house that clings on amidst the traffic and gleaming tower blocks of Vauxhall roundabout. The owner, Jackson Boxer, is 29. 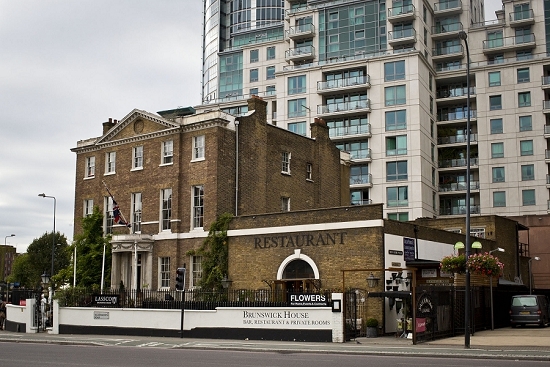 Brunswick House is just four and a half years' old. Yet it is already one of the hottest tables in London. The interior, too, is jaw-dropping. 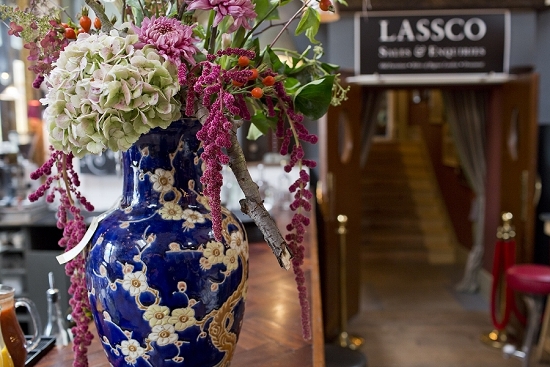 Lassco, a famous architectural antiques company, owns the building. Every room of the main house is stuffed with their eclectic collection of vintage gems – a fraction of which decorate the restaurant itself. 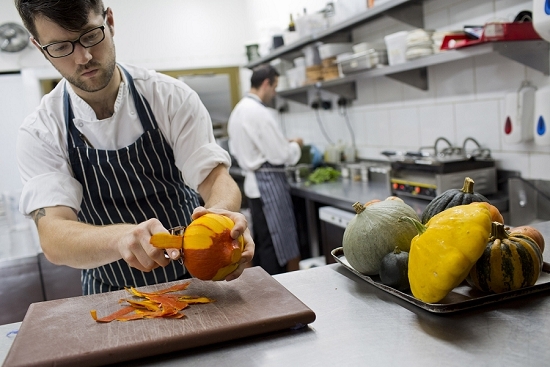 Fresh produce is firmly at the heart of the Brunswick House menu. "We have an audience who will pay for very good vegetables," says Boxer. Starters might include sandy carrots, goats’ curd and black butter (£6.80) or a spinach soup with kohl rabi and chervil (£6). Skate, oyster, hedgehog mushrooms and burnt apple (£17) is among the main courses. The kitchen uses a handful of catering suppliers from the market, demanding the highest quality British gear. Boxer states: "I don’t like ordering broccoli and getting something from Kenya when I know Hampshire broccoli is in season." 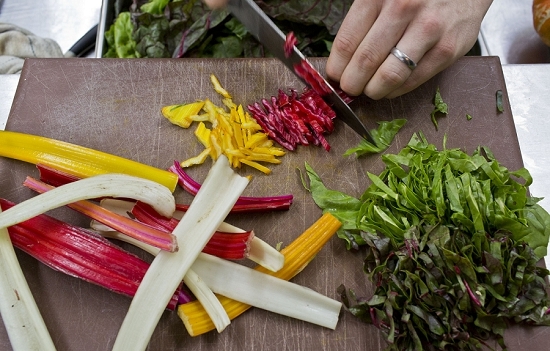 Attitudes to vegetables are changing, he continues: "People are seeing vegetables as having the potential for as much excitement and flavour as protein." 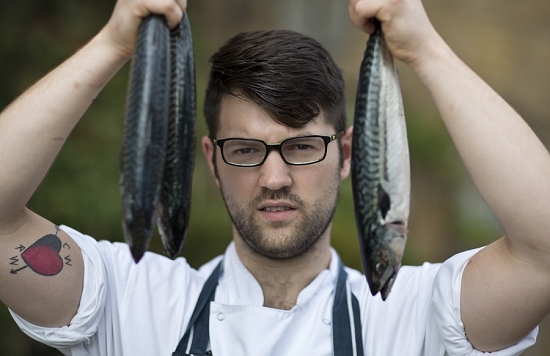 Chef Woodward admits that he gets a buzz from his proximity to New Covent Garden Market: "It amazes me that all [the produce] comes in from so far and wide and goes out across the whole of London. Knowing that you are physically very close does make it easier." He explains that he looks for a supplier that "have as much interest in the produce as I have – who get excited about the seasons." The best, he says, go out of their way to bring samples of extraordinary produce – handy in a restaurant where the menu changes from day to day. One supplier even has an invoice from Woodward framed in his office. It was his first order when Woodward worked in a restaurant in Bethnal Green. 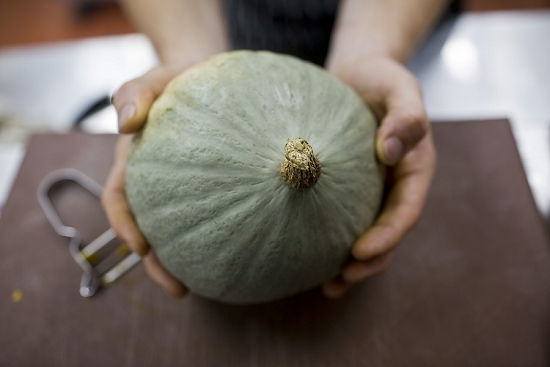 "I love the market," says Boxer, preparing the room for evening service. "We're very lucky to be here and have it on our doorstep. 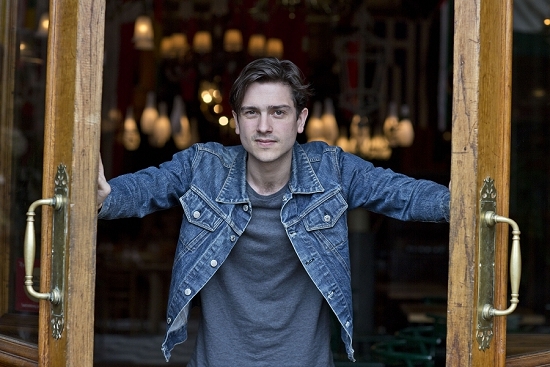 It's an amazing part of London's restaurant culture."